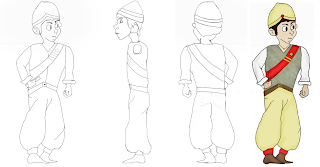 Here are my current character turnarounds. Looking over them, there are things to change. I really want to add more detail to my sidekick, which is where Im going to focus today. I'm going to begin working on some better expressions for my expression sheet as well as an action shot, using all three, which I have in my head, but am yet to draft. 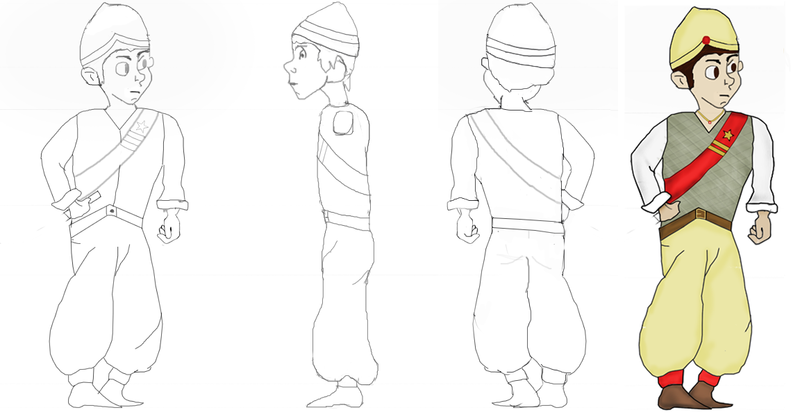 The style I've chosen is very simplistic and child-like, after-all, I'm aiming for a children's cartoon. I am creating the weapons separately, I'll add the villain's axe after adding more detail to it. SAM - PLEASE UPLOAD THE REST OF YOUR CHARACTER DESIGN WORK. I've uploaded the final .PDF, the character tutorials im uploading now.